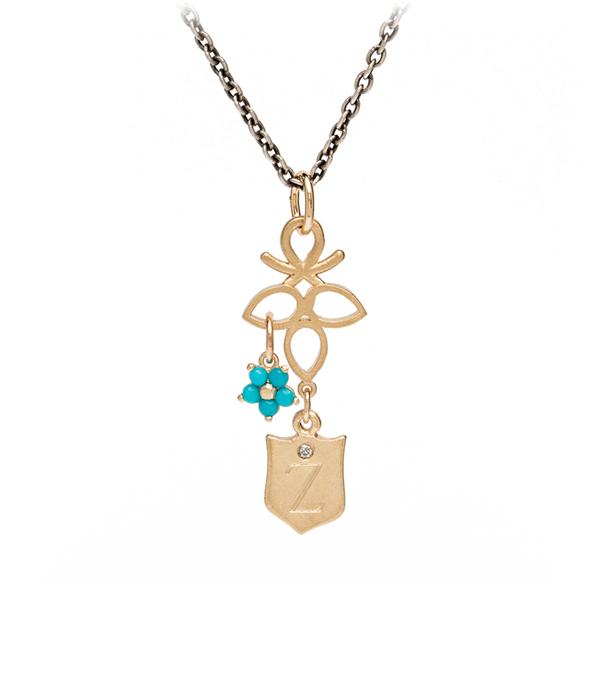 Petite and full of delight, our ‘Mini Collected Charms Necklace’ features a unique charm holder that highlights two of our favorite pieces. 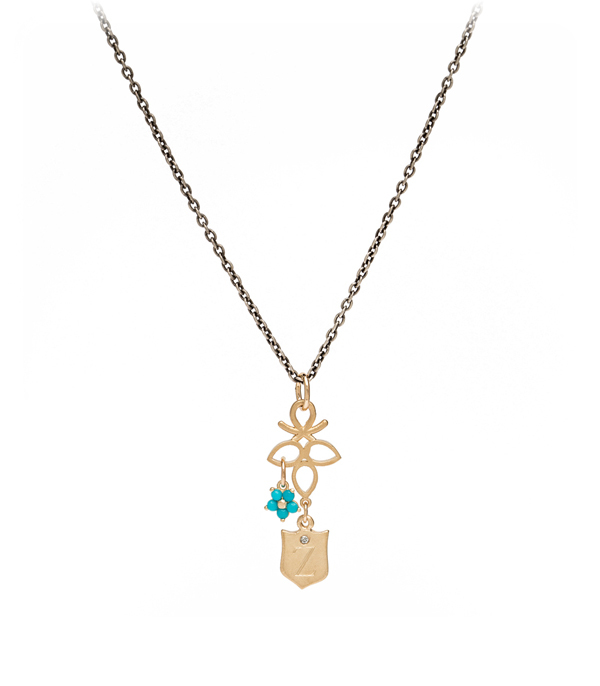 Our small shield initial pendant takes center stage alongside a dangling gem-set flower to create a truly special necklace. Each mini collection is thoughtfully designed to express a specific theme. This assortment, with its turquoise forget-me-not flower makes an ideal gift for a dear one who is never far from your thoughts. We enjoy the asymmetry of the two charms, but also love the option of adding a third charm from your personal collection to complete the mix. Categories: Language of Flowers, Necklaces, Something Blue.